When it comes to reporting on high-profile breaking news like natural disasters, speed means everything to a journalist. First-hand accounts unfold at lightning speed on social media, but with hundreds of millions of tweets buzzing through the social universe every day, how can you zero in on the right signals to craft the most impactful story possible? 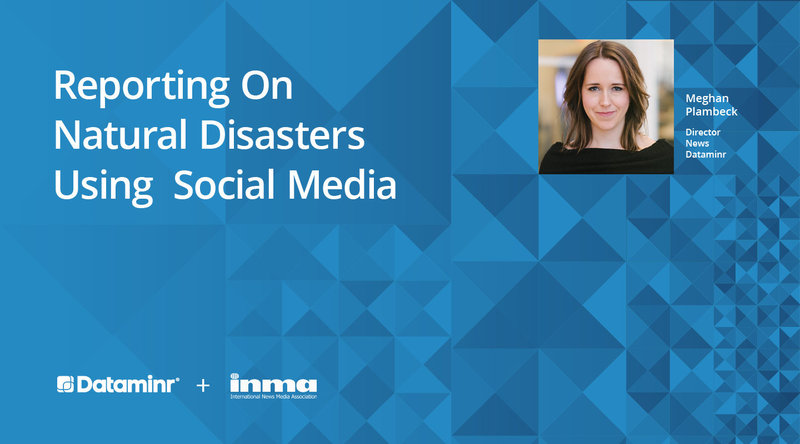 View our on-demand webinar Reporting on Natural Disasters Using Social Media to learn how Dataminr can give journalists the extra edge with breaking disasters such as wildfires, hurricanes, sandstorms and floods.